It’s a story you’ve heard before. Words like “metabolism”, “natural” and “weight loss” tossed around like cards a company mixer. Words that are used like fishing hooks to sink into anyone who is actually listening, actually tuning in. Mentioning not only a promise for weight loss, but also energy and antioxidants offered by the green tea and acai found in the product. A supplement that can help you lose weight as well as improve your overall health. What could be better than that? There’s a name on this calling card with it’s invisible hooks. That name is AF Plus. It’s a story you’ve heard before. Someone, somewhere hears about AF Plus on the radio while they go about their after work routine. Another routine night of delivery pizza for dinner. The person looks down at their gut and grimaces, and it’s just at this time that they hear the radio ad for AF Plus. By the end of the commercial they’ve dialed the number and bought their first shipment. They look in the mirror, excited to see a different person. We’ve all heard this story before. So what’s AF Plus’s story? Everything has an origin. 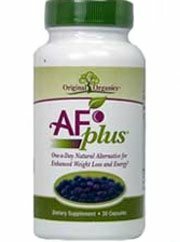 AF Plus was created by a company known as Original Organics LLC, a company that has it’s home base in Portland, Maine. Not much is known about this shadowy company, as it has no official website. When the Better Business Bureau (BBB) got a chance to look into Original Organics more, they decided to give the company the rating of an F; the company has a history of issues with it’s advertising, as well as not responding to customer complaints. So next time you hear AF Plus advertised on the radio, or see it on Amazon.com, you’ll know something about the people who are trying to push AF Plus. “Boost metabolism” it says. “lower cholesterol” it adds. “Provides other essential nutrients to help the body function” AF Plus tosses out as a last pull, grabbing the attention of it’s buyers completely. Wouldn’t it be great to get all those things together, all at once? And all you would need to do, is take a capsule once a day. You’ll be thinner before you know it. Never mind when during the day to take the pill, or if it should be before a meal or with water, if there’s a time you shouldn’t take it, say after 3pm. Don’t worry about diet and exercise and about how they contribute. No AF Plus doesn’t want you to think about any of that. That’s why it doesn’t list any of these things on the internet. It’s not like the company has a webpage or anything. No, what AF Plus wants you to do is buy the product. That’s the lesson that a lot of people ended up learning. And what people ended up learning, is that the actual results they got from the product weren’t anything like what they had been told. Users generally saw no change in their weight at all, with one user on Amazon.com claiming that she actually gained a couple pounds. With no official website and only a front shot of the bottle on Amazon.com, AF Plus hides it’s label from us, as if it’s some deep dark secret. What’s there to be so secret if this is from “all natural” ingredients? Is it that if revealed, it would show that AF Plus isn’t on the same list as 10 of the best all natural diet pills? What’s there to be so secretive about? Green tea extract: Gives the body a burst of polyphenols and catechins that help the body defend against free radicals. Also boosts the metabolism up a level. Acai berry extract: Being full of essential vitamins and minerals, this ingredient tries to be the poster child of AF Plus. However it should be noted that there are no studies available that link this ingredient to weight loss. Pomegrante fruit extract: Used to help lower cholesterol as proven by clinical studies. Amla fruit extract: Another hero in the fight against high cholesterol, this helps with overall health. 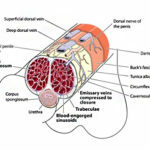 Panax ginseng root extract: Contains a compound that can prevent the storage of energy as fat. While still in the preliminary stages, some hope this ingredient is the “miracle molecule” that can once and for all defeat obesity. 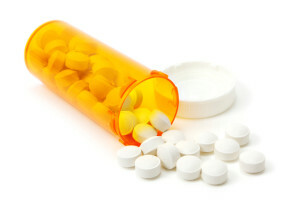 Without any exact measurements it’s hard to say what the side effects of taking AF Plus are. This product however does contain caffeine, and as such, side effects like insomnia and heart palpitations may occur. What’s good to say about a product that comes from a company that the BBB gave an F rating too? The illusion falls apart in pieces. After use of AF Plus, users found that the promises of weight loss were hollow. Sedentary lifestyles were never changed, so without a change to diet and exercise, any kind of results that were expected turned out to be null. But how was anyone supposed to know? 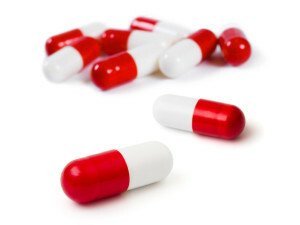 It’s not like the product advertised anywhere how to take the capsules exactly. It all amounted to taking one capsule a day. One capsule a day that lead to nothing. Somewhere out there a man gives his credit card information away for AF Plus. He is charged but never receives any product. This happens to someone else. Then someone else. With some internet research, you the reader can even find enough cases of this to see that this is more than some cliche’d fiction story. This is a repeated reality. Pieces of illusion fall and shatter like shards of glass. People have tried to return their product, but have faced obstacles. Forums online feature post after post from buyers of AF Plus who have been stuck with more AF Plus than they would ever care to have. A conveniently unmentioned auto-shipment gets added to credit cards, so people inevitably make at least one more sale to AF Plus than they intend to. This is the ugly reality when the illusion is shattered. Promises of a healthier, thinner you. Promises of all natural ingredients. 30 little promises in a bottle, that’s sold at a price of $39.95 (plus a hidden auto-shipment). Promises like a billboard, a vibrant image on one side with absolutely nothing behind it. AF Plus in a nutshell. The illusion of AF Plus has pulled many in. Like the flashy lights of Las Vegas the allure of this product’s claims can entice anyone to spend their money. Cheaper, better products are ignored while buyers spend have a honeymoon with AF Plus, in the vain hope that it will actually work. However time proves AF Plus’s claims for what they really are: a fabrication. That’s all AF Plus is and ever was. An image of an idea and nothing more. We recommend ignoring this product and looking into better, more effective diet pills. Whats better than AF Plus?